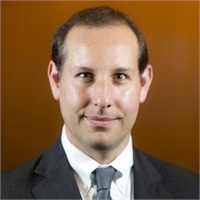 Mark DiOrio joined Brookstone as the Chief Investment Officer in 2015. In his role, he leads the firm’s investment committee and drives the firm’s investment policy, framework, and portfolio construction methodology. He oversees the portfolio strategy group that provides recommendations on strategic and tactical portfolio design. Mark directs research on external managers and develops internal strategies. He produces and presents content for advisor training, a weekly Market Watch update, and the firm’s quarterly market reports. Prior to joining Brookstone, he was responsible for launching and managing a boutique investment subsidiary of a publicly traded regional bank holding company. While there, Mark ran a global tactical asset allocation strategy and accumulated an 8 year GIPS® compliant track record. Mark has nearly 20 years of investment industry experience, including 10 years of multi-asset class portfolio management. He has been featured in Investor’s Business Daily and quoted in the Wall Street Journal. Mark received his MBA from Benedictine University, his BA from Eastern Illinois University and is a Chartered Financial Analyst (CFA). Mark is a member of the CFA Institute and CFA Society of Chicago.